1. Who IS Todd Rogers? Todd Rogers Berberian is the legal/ birth name of Optician and Designer Todd Rogers. Upon conception of his brand years ago, Todd realized that people would inevitably butcher his last name Berberian, and so opted to use his middle name, Rogers which is also his mother’s maiden name. 2. Is Jackson Rogers a real person? Indeed! Jackson is the first son of Todd (& his wife, Leigh)- and yes, his middle name is Rogers. Yes, the kids on jacksonrogerseyewear.com are really his buddies. No, he will not be forced into a life of Opticianry. He just won’t be allowed to do anything else. 3. What is the difference between an Optician, and Optometrist, and an Obstetrician? Optician = An Artisan. Makes and fits your glasses to you. Helps you see. Optometrist = A Doctor. Examines your eyes for both vision and health issues. Supplies you with a prescription for eyeglasses and/or contacts. Helps you see. Obstetrician = Also a Doctor, specializing in Pregnancy, Childbirth and all that good stuff. Doesn’t go near your eyes. 4. 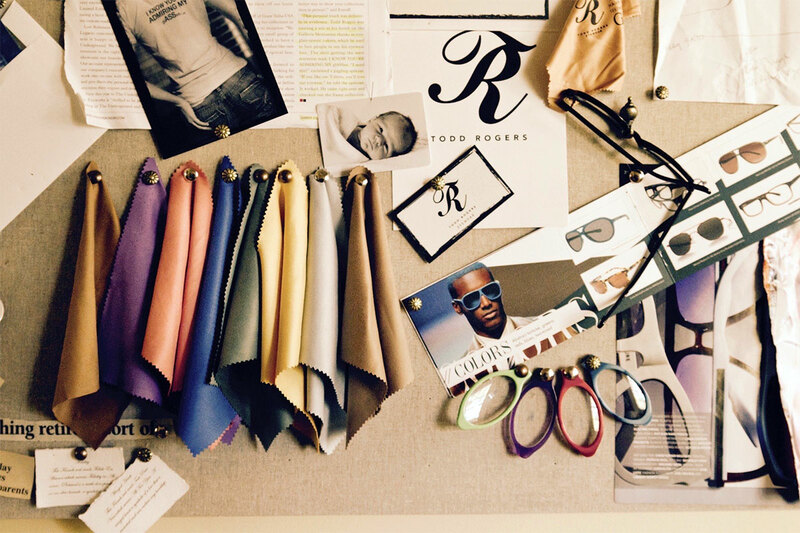 What makes Todd Rogers Eyewear different from all the other brands out there? See: "What We're Made Of". If that doesn’t help answer, simply buy a pair and wear them, Then you tell us. 5. How do I find Todd Rogers Eyewear near me? Go to: "Contact Us" page, and email us with your location. We’ll assist you in finding a retailer in your area. Add a good joke to the email and we’ll send you a gift! 6. Can I buy Todd Rogers online? We are strictly sold through Opticians, Optometrists and Ophthalmologist Offices. Don’t have one near you, or that you visit? Call, email or visit our flagship store - Todd Rogers Andover. We’ll be happy to take your order and send you a pair. Tell us or email a good joke and we’ll send you a gift!